Soak up The Fun While Giving Back! 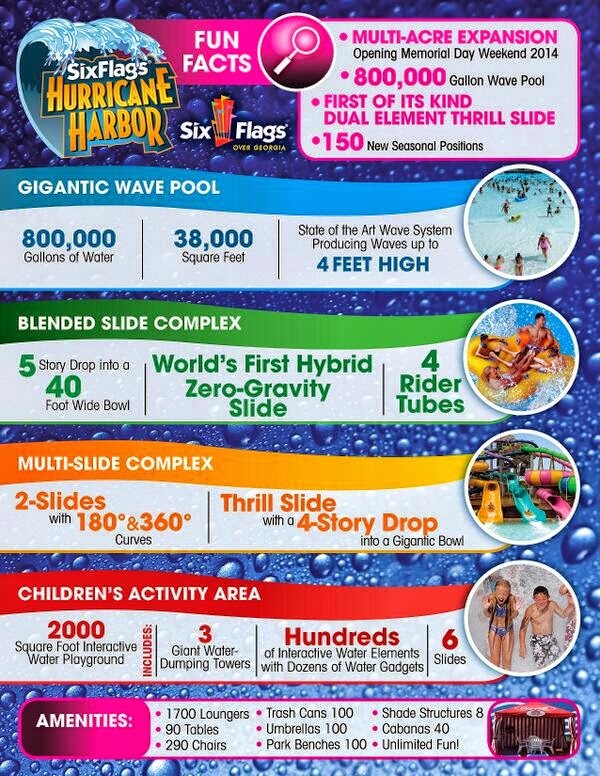 If you have been patiently waiting for discounted tickets to take your family to Six Flags Over Georgia to try out their new super awesome water park I have good news for ya! McDonald’s and Six Flags Over Georgia have teamed up this summer to benefit Atlanta Ronald McDonald House Charities (ARMHC). Discount coupons are available while supplies last at participating McDonald’s restaurants in the greater Atlanta area that offer up to $20 off of admission to Six Flags Over Georgia and $5 off admission to Six Flags White Water through September 21. Six Flags will donate $1 for each ticket purchased with a McDonald’s coupon. Coupons can be picked up at McDonald’s restaurant registers, and can be redeemed online at www.sixflags.com/overgeorgia or at any ticket window. A portion of the ticket sales go directly to ARMHC!